Nearly a quarter of those taking a higher dose of Ocaliva saw an improvement in liver scarring. 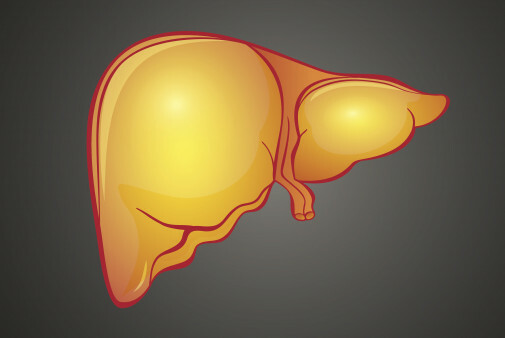 People taking Ocaliva (obeticholic acid, or OCA) saw a significant improvement in liver fibrosis related to non-alcoholic steatohepatitis (NASH), according to a study presented at the 2019 International Liver Congress last week in Vienna. Non-alcoholic fatty liver disease (NAFLD) and its more severe form, NASH, are responsible for a growing proportion of advanced liver disease. The build-up of fat in the liver triggers inflammation, which over time can lead to the development of scar tissue (fibrosis), cirrhosis (severe scarring) and liver cancer. There is currently no effective approved treatment, and management of the disease relies on lifestyle changes such as weight loss and exercise. Younossi and colleagues conducted a Phase III clinical trial to evaluate Ocaliva, from Intercept Pharmaceuticals, as a treatment for NASH. The study’s dual primary endpoints were improvement of fibrosis by at least one stage with no worsening of NASH, or NASH resolution with no worsening of fibrosis. Ocaliva is a farnesoid X receptor (FXR) agonist that activates receptors that play a role in lipid metabolism and liver regeneration after injury. Prior studies showed that FXR activation protects against damage from liver fat buildup, lowers blood lipid levels, improves insulin sensitivity and improves liver fibrosis. Ocaliva is being developed as a treatment for both NASH and primary biliary cholangitis, a disease of the bile ducts. The REGENERATE trial enrolled people with moderate to advanced (Stages F2 or F3) fibrosis related to NASH. About 60 percent were women, around 90 percent were white, about 18 were Latino and the average age was 55. People with hepatitis B or C, heavy alcohol consumption and other chronic liver diseases were excluded. More than half had diabetes and were taking statins or other lipid-lowering medications. The study participants were randomly assigned to receive 10 or 25 milligrams of Ocaliva or a placebo once daily. Liver biopsies were done at the start of the study and 18 months later. A total of 931 people were included in the intent-to-treat population. In an 18-month interim intent-to-treat analysis, 23.1 percent of participants in the 25 mg Ocaliva group and 17.6 percent in the 10 mg group experienced fibrosis improvement without worsening of NASH, compared with 11.9 percent in the placebo group, Younossi reported. The differences between both Ocaliva groups and the placebo group were statistically significant, meaning they were probably not attributable to chance. People who received 25 mg Ocaliva were more likely to show improvement in liver cell ballooning and lobular inflammation. ALT, AST and GGT liver enzyme levels—indicators of inflammation—decreased in a dose-dependent manner, and more than half achieved ALT and AST normalization. In a per-protocol analysis of 668 people who completed at least 15 months of treatment and had post-treatment biopsies, 38.0 percent of those in the 25 mg Ocaliva group experienced at least a one-stage improvement in fibrosis and 13.3 percent had at least a two-stage improvement, while 13.1 percent had worsening fibrosis. In the placebo group, in contrast, about equal proportions improved and worsened. Improvement in NASH without worsening of fibrosis did not reach the threshold for statistical significance in the intent-to-treat population: 11.7 percent in the 25 mg Ocaliva group and 11.2 percent of the 10 mg group versus 8.0 percent in the placebo group. However, in a prespecified analysis that also included an exploratory group of people with mild (Stage F1) fibrosis, those who received 25 mg Ocaliva were significantly more likely to experience NASH resolution (14.9 percent versus 7.9 percent in the placebo group). Ocaliva was generally safe and well tolerated. Severe adverse event rates were similar across treatment groups (14 percent with Ocaliva 25 mg and 11 percent in the other two groups). The most common side effect was pruritus, or itching, reported by 51 percent in the Ocaliva 25 mg group, 28 percent in the 10 mg group and 19 percent in the placebo group. This was usually mild to moderate, but 9 percent in the high-dose Ocaliva group stopped treatment for this reason. “Treatment with OCA 25 mg improved liver fibrosis, key histologic features of steatohepatitis and liver biochemistry, demonstrating consistent efficacy with an overall adverse event profile similar to previous studies,” the researchers concluded. The REGENERATE study—the largest ever Phase III trial in people with NASH-related fibrosis, according to Intercept—is ongoing to evaluate longer-term clinical outcomes. Intercept and the Food and Drug Administration previously agreed that the study would have to meet only one of its main endpoints, and the company has submitted Ocaliva for approval. Click here to view the International Liver Congress abstracts.